O’Charley’s has a kids eat free deal good every day. Get one kids menu entree free with each purchase of an adult entrée. For more details see O’Charley’s Kids Free. 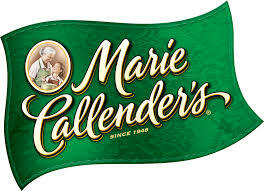 Marie Callender’s Kids Eat Free! 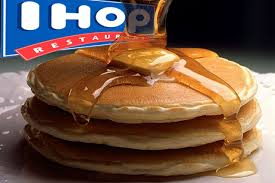 IHOP has a kids eat free deal every day! From 4 pm to 10 pm every day, get one kids menu entree free with each purchase of an adult entrée, IHOP announced the deal on the IHOP news website. Shoney’s offers free kids’ meals to children age 4 and under with each adult meal. It also offers free kids’ meals to children 10 and under during certain times of the year, so keep an eye out for those deals, too. Steak ‘n Shake Offers New Coupons! 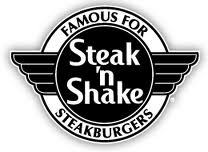 Steak ‘n Shake is offering these new online printable coupons such as a BOGO on milkshakes or onion rings for 99 cents. Coupons valid through April 20, 2014! Happy Hour with half-price shakes is 2-4 pm and 2-4 am every weekday. 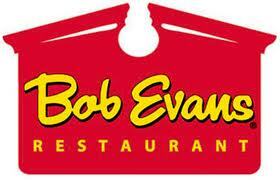 Kids Eat FREE at Bob Evans Restaurant! Bob Evans Restaurant is offering this coupon via their Facebook page which will let your Kid eat free throughout the month of March with the purchase of an adult entree! Kids Eat FREE at Hometown Buffet!! Hometown Buffet & it’s affiliate restaurants are offering this coupon for up to 2 children to eat free with the purchase of any 1 adult buffet!! Coupon valid through December 31, 2012! Coupon is located at the bottom of the link. Kids Eat FREE All Weekend at Steak ‘n Shake! Steak ‘n Shake is offering free kids meals for every $8 adult entree purchased! No coupon required. Kids Eat FREE at Texas Land & Cattle Steakhouse on Saturdays! Texas Land & Cattle Steakhouse offers free meals for your kids on Saturdays! Kids 12 and under eat free on Saturdays from 11am – 4pm. 2 free kid’s meals for each adult entree. Kids Under 3 Eat FREE at Pizza Hut Every Day During Lunch! Kids eat free (3 and under) at Pizza Hut every day at the lunch buffet. Some locations kids younger than three can eat free at Pizza Hut’s dinner buffet as well. Check your nearby Pizza Hut location for participation.